Quick, can anyone guess my least favorite thing to do after a long day, a delicious dinner I spent time cooking, and before bed? For many people, that is one of the biggest barriers to entry for home cooking. Knowing that whatever dishes they dirty, they will have to clean up afterwards. And if you have more than one person to feed, it seems the dishes multiply exponentially. You’d think one more plate and fork is it, but no, somehow after 2 days there is Mount Dirty Dishes and a sink you can no longer see the bottom of. Well, to solve this problem, we have started using several tricks, one of which I will share with you today: One Pan Meals! It is exactly what it sounds like, you need only one pan in which to cook and serve your meal. It could be a sauce pan, a soup pot, a slow cooker, a rice cooker, an Instant Pot, a muffin tin, or a cookie tray. The point is, there is only one item to clean up afterwards! Brilliant. This could be chicken stir fry over rice, or a veggie burger on a whole wheat bun with toppings and side salad, or a shrimp noodle soup. You should include a small amount of a healthy fat as well, like nuts, avocado, or olive oil, to help your body absorb those lovely vitamins and minerals. The recipe here is for a simple steak and sides dinner, but looks quite impressive in its presentation. It can be as unassuming as a Tuesday night dinner, or as fancy as a Valentine’s Day dinner for your loved one. You can also easily change up the sides, if you don’t like broccoli try cubed sweet potato, cauliflower, diced carrots, or squash. If potatoes aren’t your thing, sweet potato fries are also awesome, or you could use another pan for rice or couscous. The choice is yours. 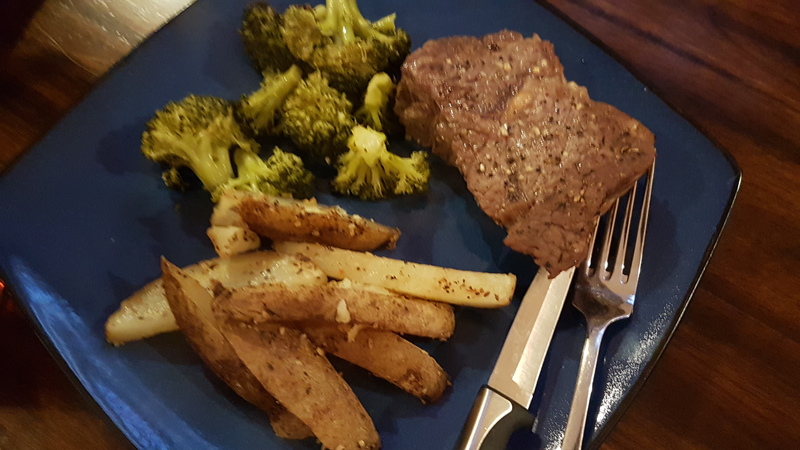 This meal was exceptionally affordable too, since I found a large 8.5 ounce steak on sale for about $5, and cut it in half for 2 servings. Broccoli was also on sale for 0.99/head, and potatoes 0.99 for a 5lb bag. That made this whole meal cost a grand total of about $7, or $3.50 per serving! Step 1: Cut your potatoes and broccoli into bite sized pieces. 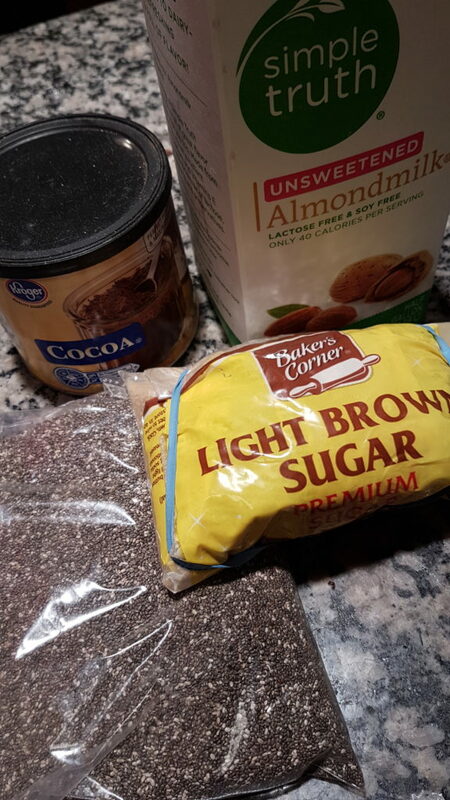 Lay everything out on a cookie tray, and sprinkle with spices of your choice. 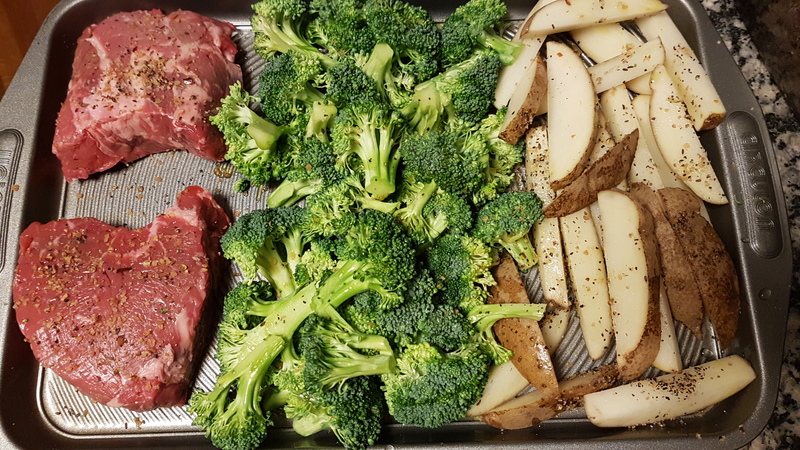 I used McCormick “steak seasoning” because it’s a favorite around here, and I sprinkled it on the broccoli and potatoes too. Step 2: Cover with foil, and roast at 350 degrees for about 25-30 minutes. This cooks the potato and steak. Step 3: Uncover, and bake another 10 minutes. This browns the potatoes and crisps the steak. Watch to make sure you don’t burn the broccoli though. 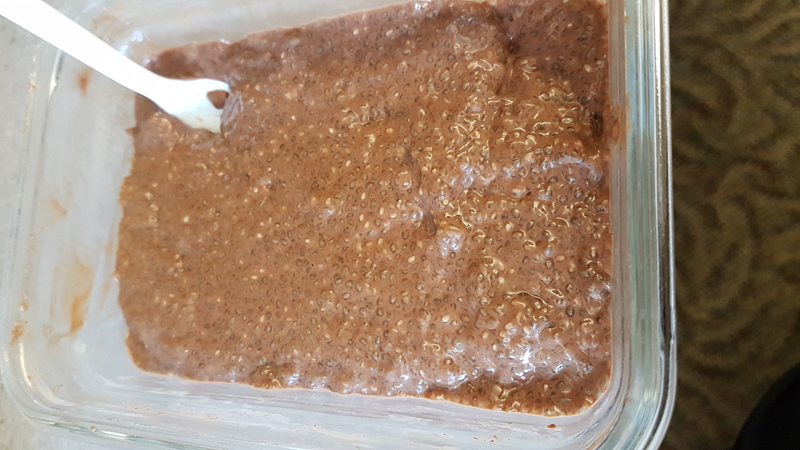 I can’t believe it’s taken me this long to jump on the chia pudding band wagon! 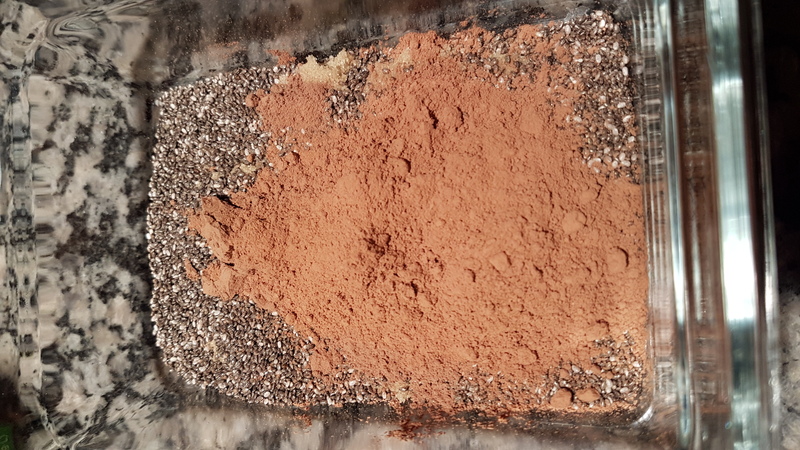 I’d read about so many uses for chia seeds, and how they are an amazing vegan source of omega-3s and fiber along with a host of other micronutrients, added chia to salads, smoothies, crackers, and bread recipes, and have made chia fresca and enjoyed it. But it took forever to try this! Don’t make my mistakes people. Make this tonight! Chia seeds may seem expensive, but a little goes a LONG way! They absorb water and can swell up many times their size, creating a gel-like coating around the seed. It is a strange texture at first, but give it a try. The health benefits are worth it! Step 1: Mix all ingredients in a large bowl with a whisk, or you can put it in a mason jar with a lid and shake it like you mean it! Step 2: Refrigerate one hour or overnight. It will thicken as it sits. 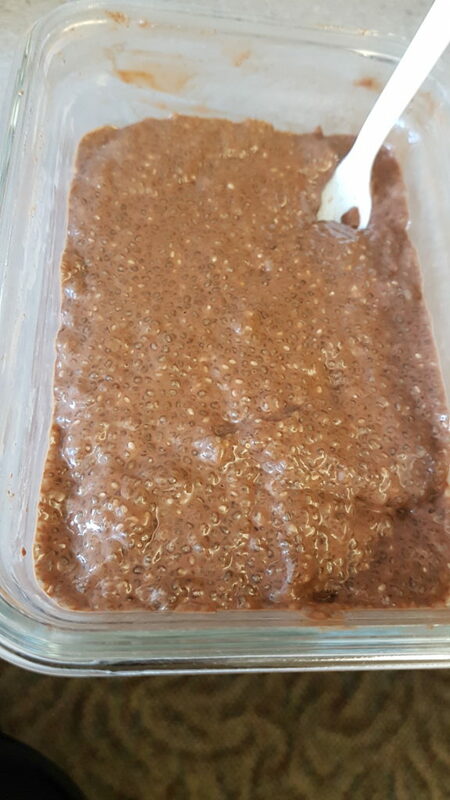 If you want it thicker, add more chia, if you want it thinner add more milk. 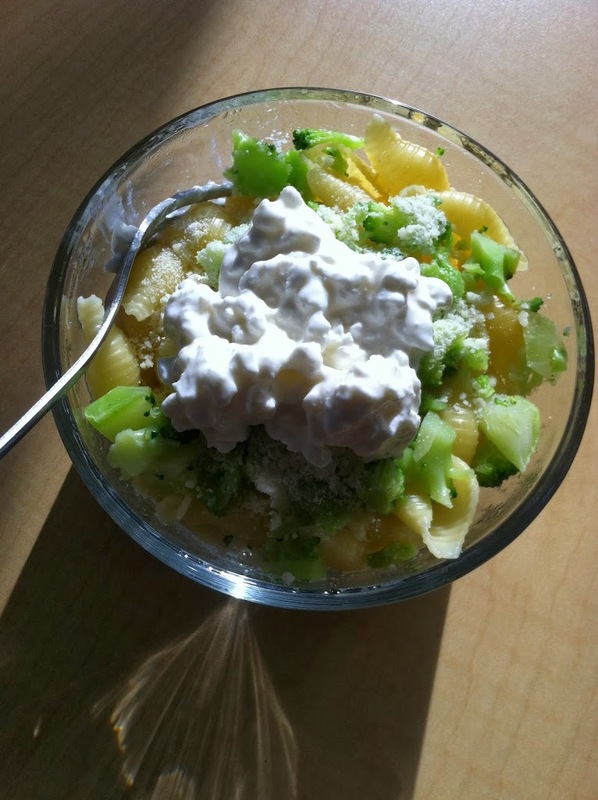 It makes about 4 1/2 cup servings and should last a week in the refrigerator. 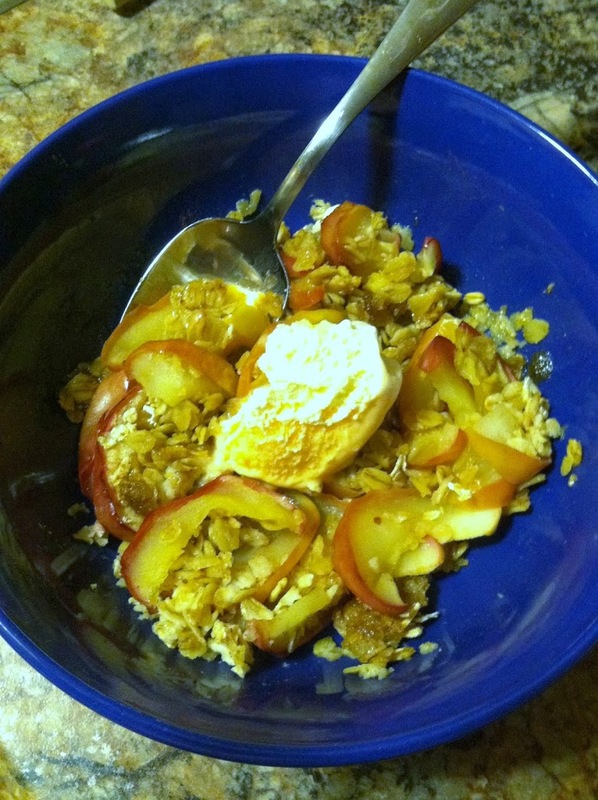 Top with granola and fresh berries for an amazing breakfast or anytime snack! 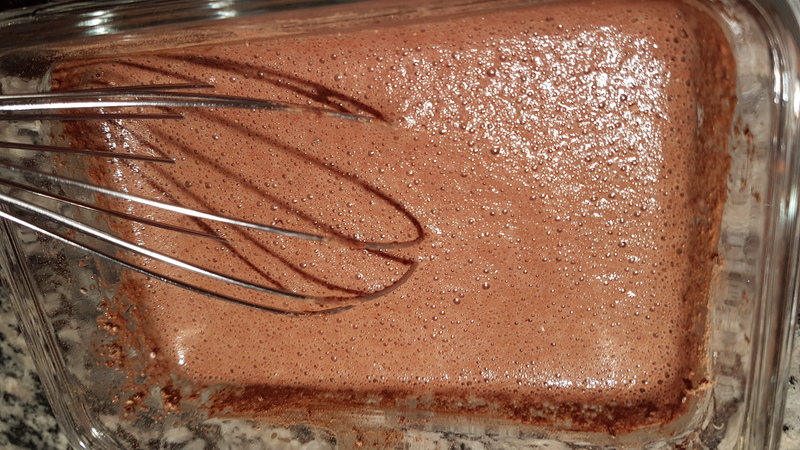 The thick gel consistency of the seeds makes it almost exactly like pudding. 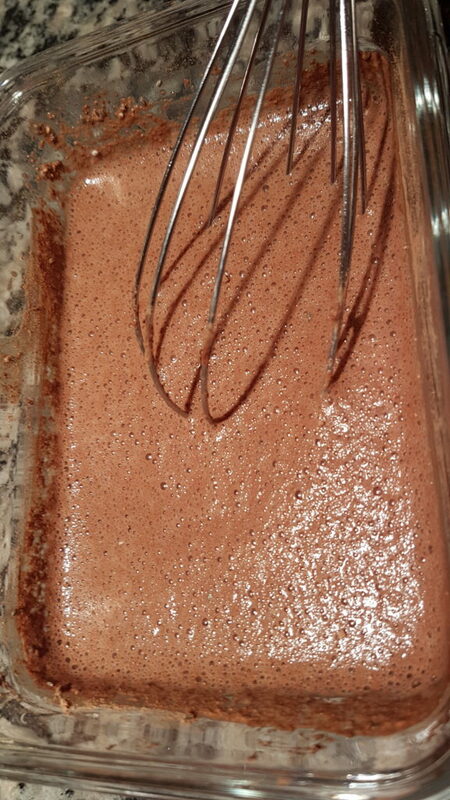 And if you really love chocolate, use chocolate almond milk, or double the cocoa powder. It’s the healthiest treat that tastes like dessert I’ve ever had! With summer in full swing, there are picnics to attend, pool parties to have, and barbecues and potlucks to create a dish for. 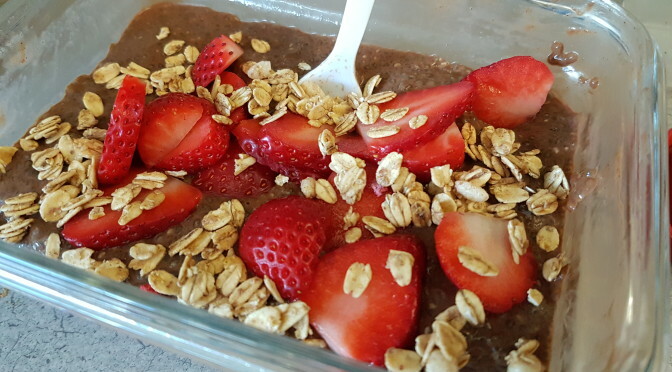 This is the time for quick and easy, no-bake, crowd pleasing recipes. It is hot enough outside, you don’t want to turn on the oven. And you only have an hour until you need to show up at someone’s door, dish in hand to share. My family has a recipe that’s been around as long as I can remember. It is a part of every summer picnic, get-together, birthday party. Everyone who tries it for the first time loves it, and wants to know the secret. The secret of Pink Fluff. Well, it’s pink, and it’s fluffy. 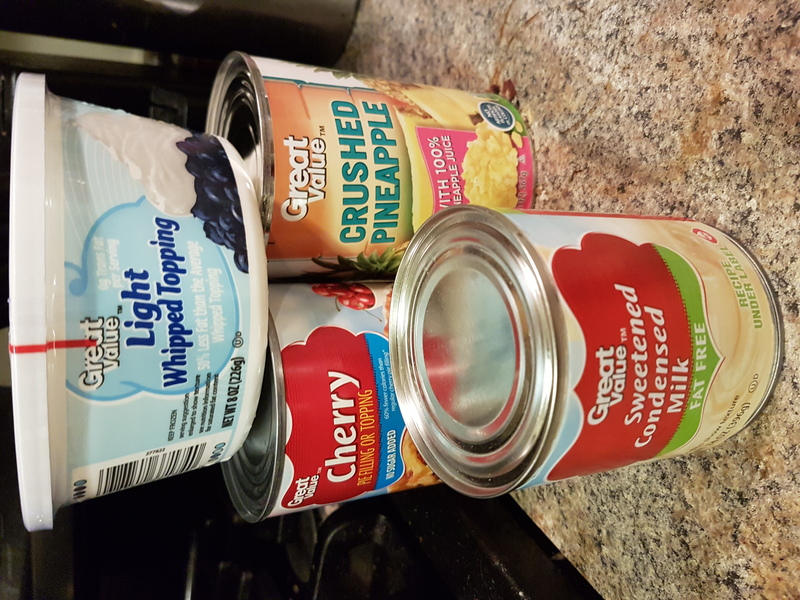 (And ridiculously high in sugar, so use good judgment with portion sizes 😉 ) All you need is 4 ingredients, canned, no need to even drain. Mix well, chill, and get ready for the compliments to roll in. Step 1: In a large bowl, mix all four ingredients, and refrigerate. Don’t worry about draining the pineapple, just pour it all in. 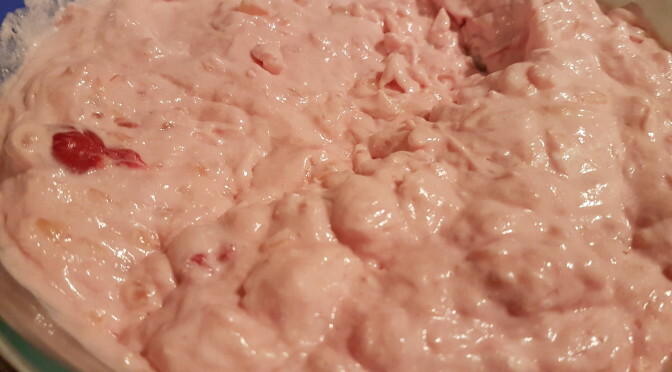 The cherry pie filling is what gives Pink Fluff its lovely color, or you could boost it with a few drops of food coloring or fruit juice. 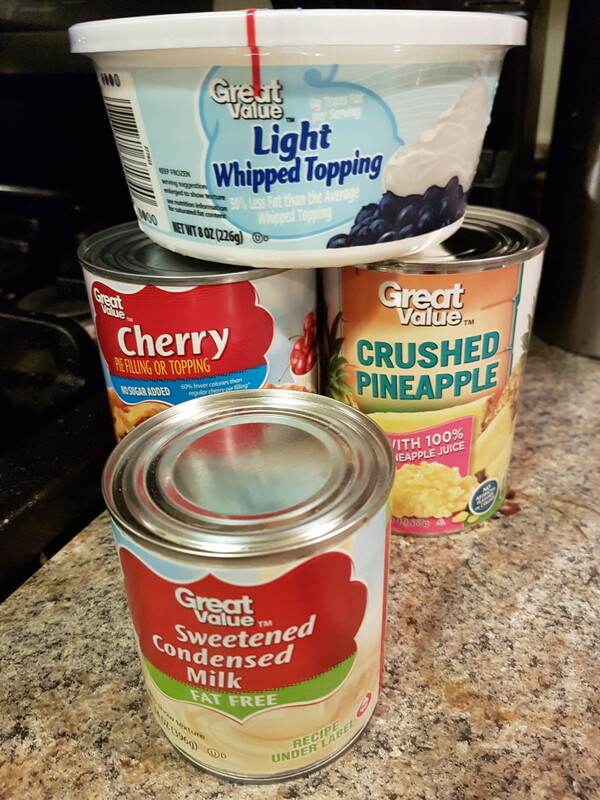 This stuff is addictive, it is tasty on its own right out of the bowl with a spoon, or it is also a great fruit dip. Mix in some bananas, chopped strawberries, fresh cherries, or grapes. Slice up some apples or oranges and use them to dip. 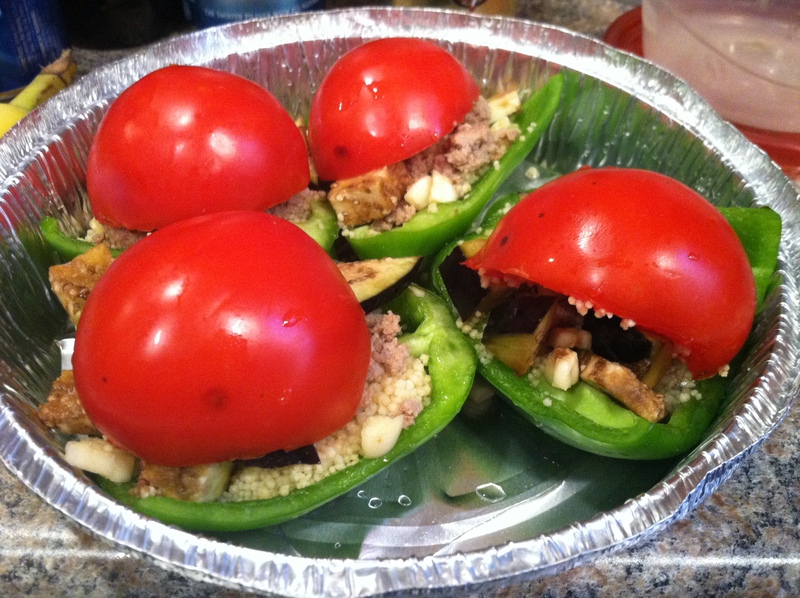 Keep this recipe in your back pocket, and you will never be unprepared for a picnic again! Enjoy. Do you love meals that don’t take much work? Do you want to eat healthier? 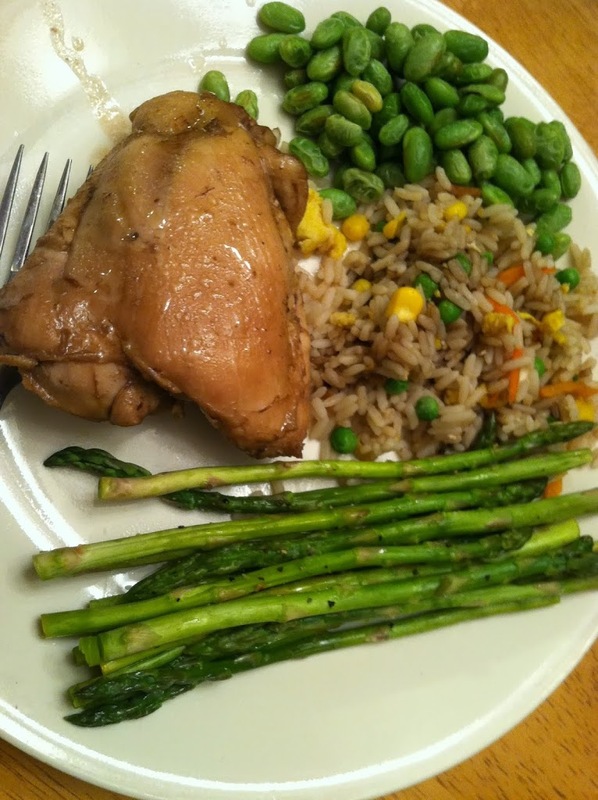 Do you want healthy meal ideas that don’t take much work? You’ve come to the right place! 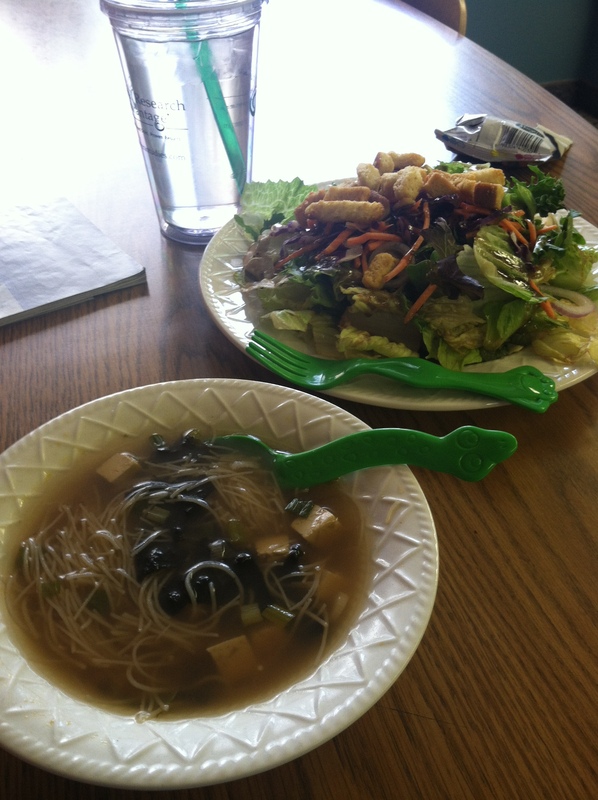 This is a super simple meal I had at work during my “track every thing I eat week“. It took less than 10 minutes in the morning to put together, then I just let it cook in our small toaster oven at work for an hour. By lunchtime it was hot and ready to go! With no preservative, added fats or sugars, and all fresh produce from my or my neighbor’s garden, it doesn’t get much better. You can of course use whatever produce you have available to you. 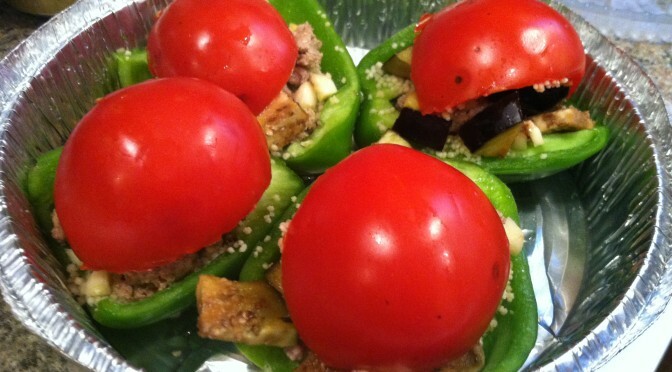 Other pepper colors can be sweeter (for example, red bell peppers) and you can stuff just about any vegetable in there. You can also use other grains if you don’t like couscous, for example rice, barley, quinoa, or wheat germ. Step 1: Cut the tops off the peppers and pull out the seeds. 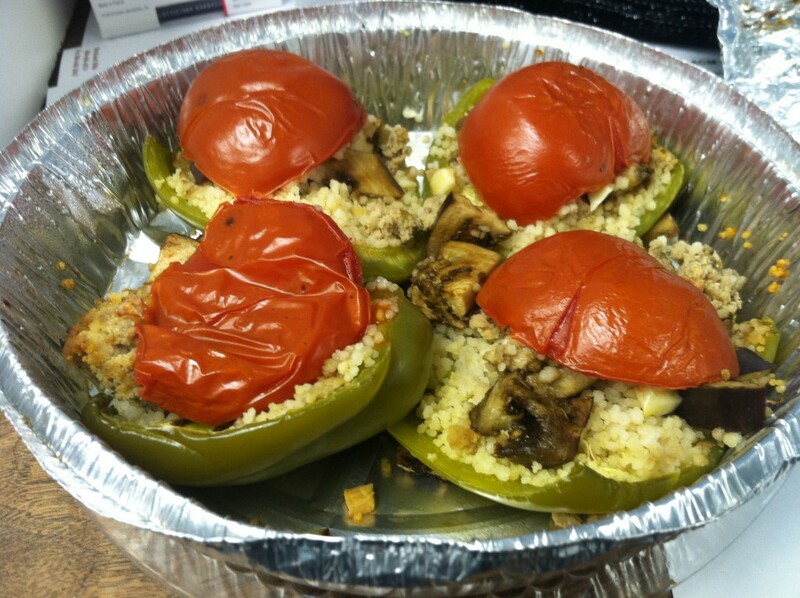 Cut in half and lay in an oven-safe container. Chop the eggplant and garlic, and cut the tomato into quarters. 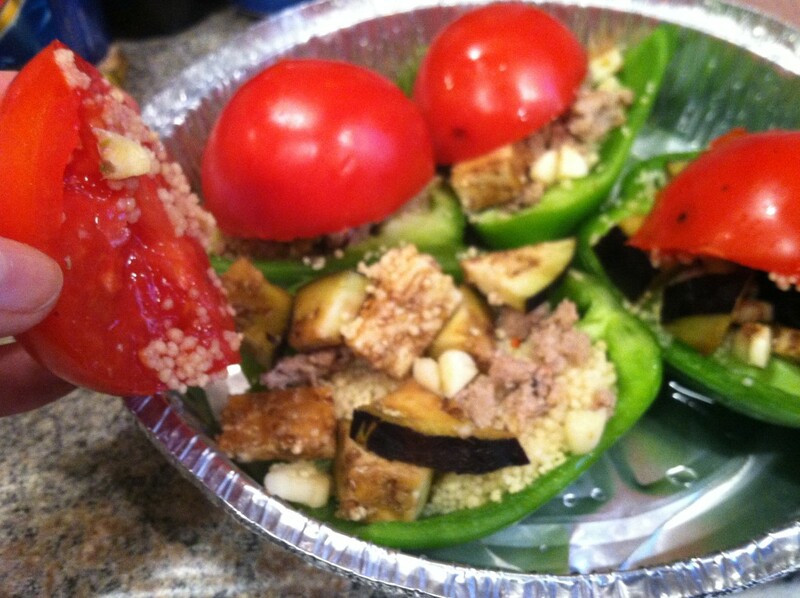 Step 2: Pour 1 1/2 tbsp couscous into the pepper, mix with chopped garlic, and top with eggplant pieces. Add 2 tbsp hot water to each half to get the couscous soaking. If you want to add some ground turkey, go for it. Cover with the tomato slices. Step 3: In an oven or toaster oven, cook on high (350) for about 1 hour. Add more water to each pepper half as needed. This is a lovely, hands-off meal, just assemble and let it go. It is light and healthy but packed with flavor. As summer is winding to a close, I am still in denial. I don’t want to let go of the beautiful unfolding of spring, the delicate greens and fragrant blossoms, the heavy fruits ripening on the vine, the cornucopia of riotous color at the farmer’s market. Spring and summer make this farm-loving, healthy-cooking, veggie-eating foodaholic girl’s heart sing. 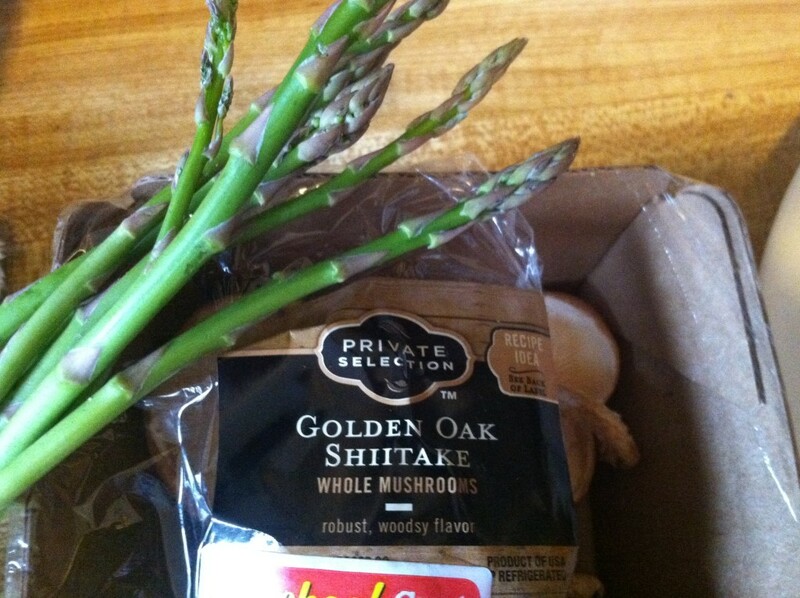 So when I saw some end of season asparagus and some shiitake mushrooms on sale, I had to nab them. For a fleeting taste of spring, summer & autumn all rolled into one, this risotto is earthy and vegetal, and completely delicious. 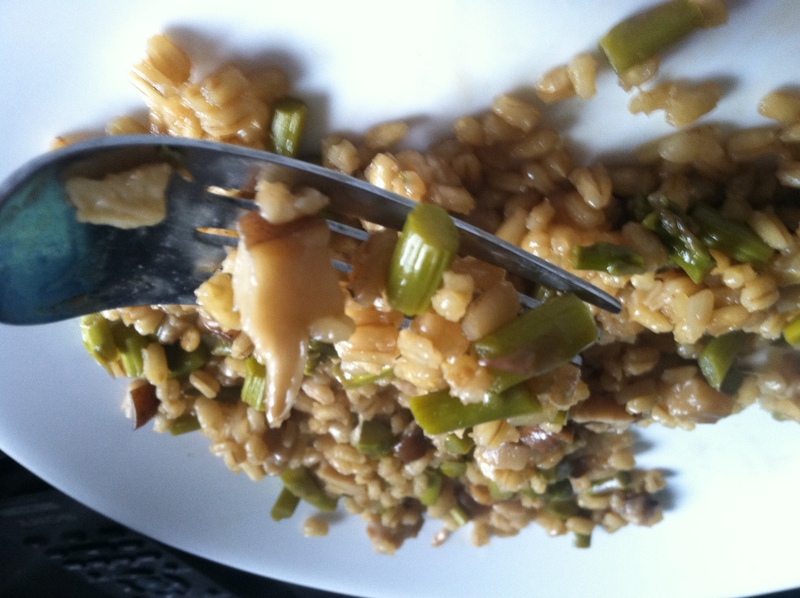 And the best part is, if you use canned mushroom & frozen asparagus you can make this all year round! A well-stocked fridge/freezer/pantry can bring any season to your plate. 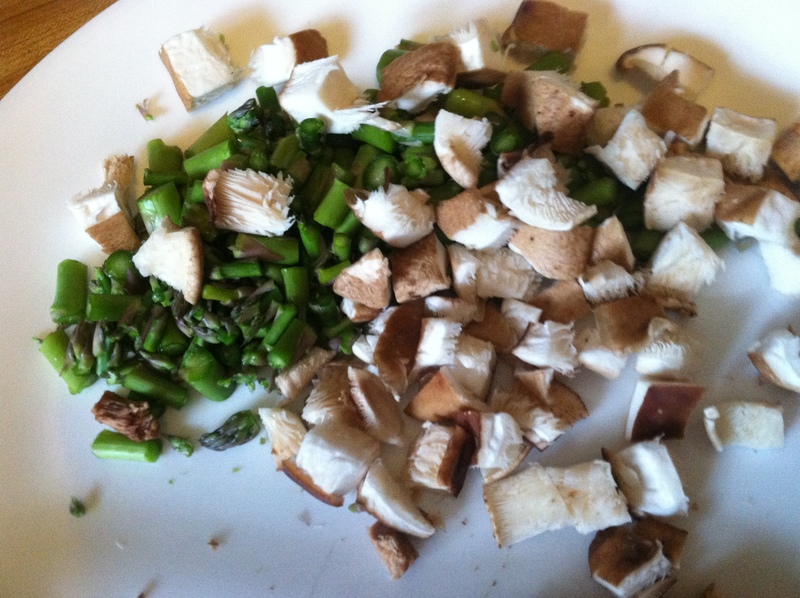 Step 1: Rinse your asparagus and wipe off any dirt from the mushrooms. Dice them into bite-sized pieces. Step 2: Put the barley in a pan with 1 cup of stock or water. 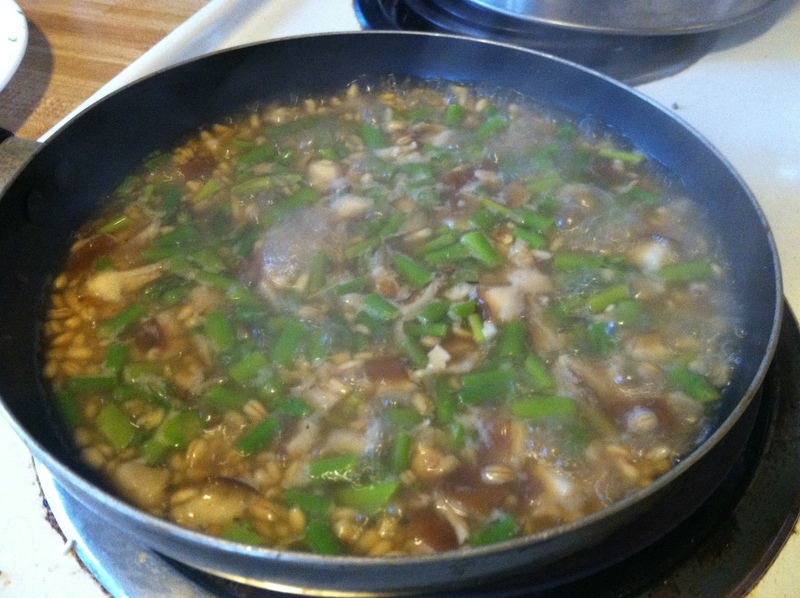 (This can be vegan if you use vegetable stock or water in place of the chicken stock). Bring to a boil, and then simmer. Step 3: Let the barley cook, watching the liquid level. When it gets low, add a few more tbsp of stock and stir. 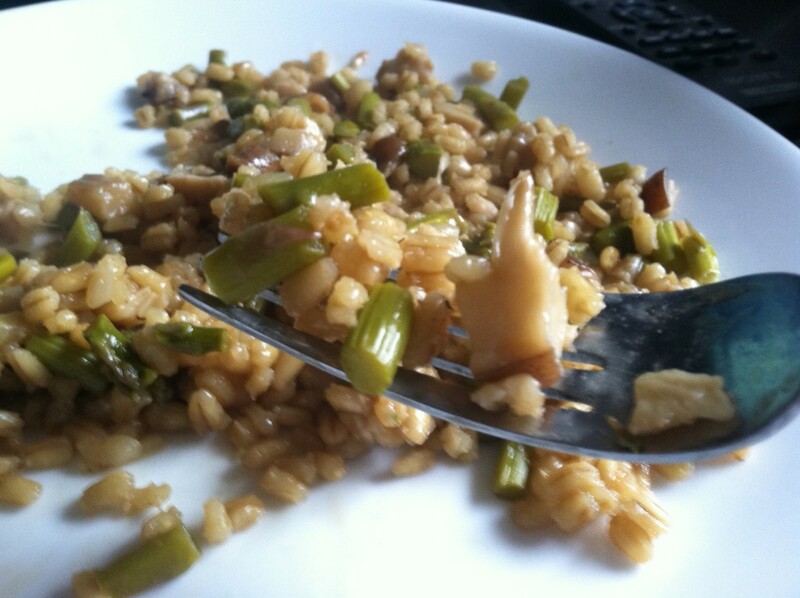 Continue for 20-25 minutes, until barley is chewy and nearly cooked through. Add the diced veggies for the final 5-10 minutes of cooking. At this point, you can season to taste, I only used a little garlic salt. This tastes amazing on its own, or you can add any of the option mix ins suggested, or anything else you happen to have laying about. 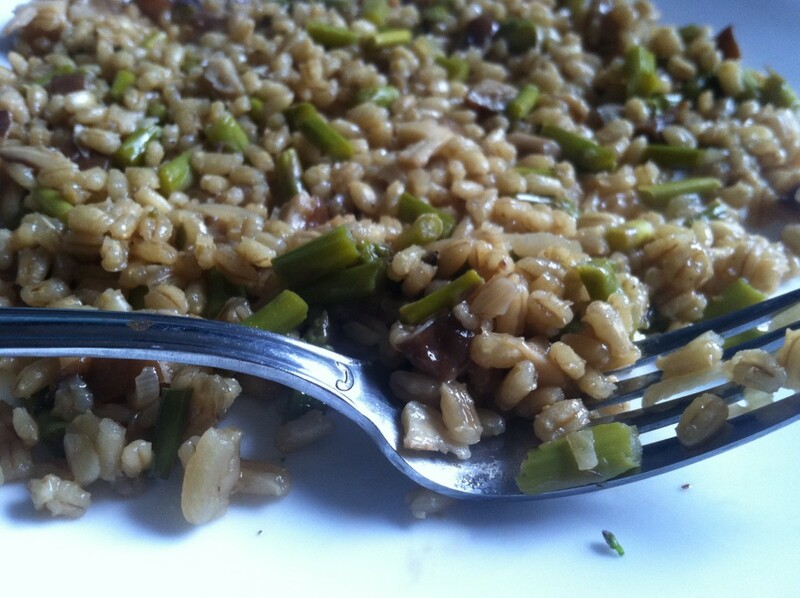 This recipe makes about 2 cups worth of risotto, enough for 4 small side dish servings or two full meals. 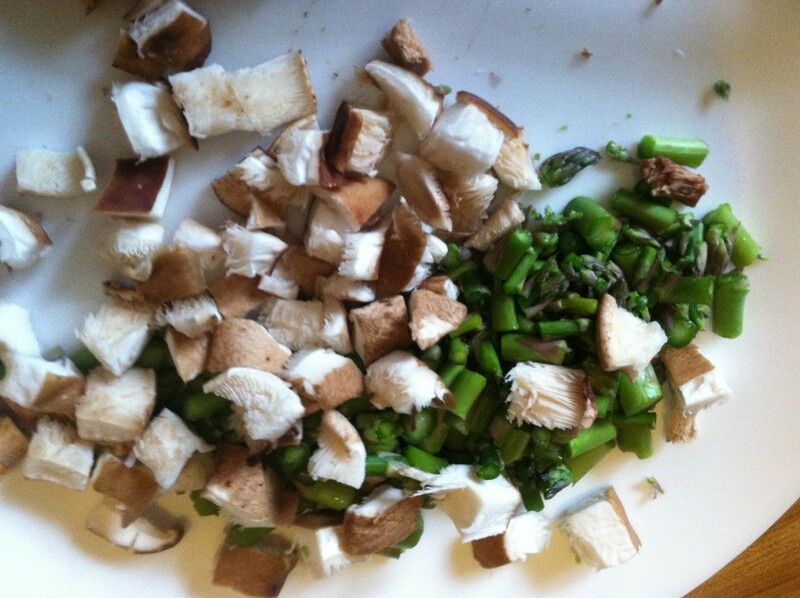 Rinse your asparagus and wipe off any dirt from the mushrooms. Dice them into bite-sized pieces. 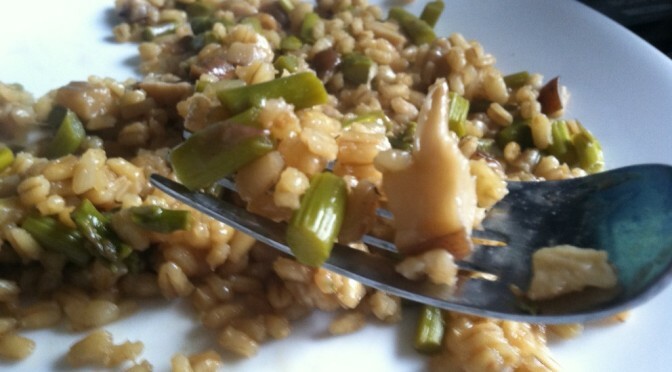 Put the barley in a pan with 1 cup of stock or water. (This can be vegan if you use vegetable stock or water in place of the chicken stock). Bring to a boil, and then simmer. Let the barley cook, watching the liquid level. When it gets low, add a few more tbsp of stock and stir. Continue for 20-25 minutes, until barley is chewy and nearly cooked through. Add the diced veggies for the final 5-10 minutes of cooking. At this point, you can season to taste, I only used a little garlic salt. Chicken is also a great meat for those on a budget. Especially if you buy dark meat like drumsticks or thighs, these are often on sale for 0.99/pound or less. You can also use chicken leg quarters, which includes both drumsticks & thigh meat. 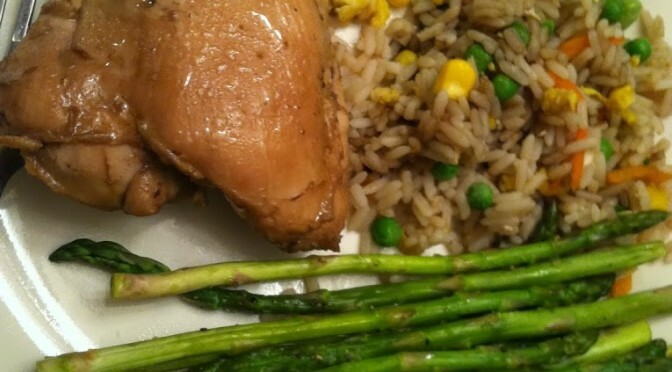 My sister, who is in college now, also loves this quick, easy, always-delicious chicken. 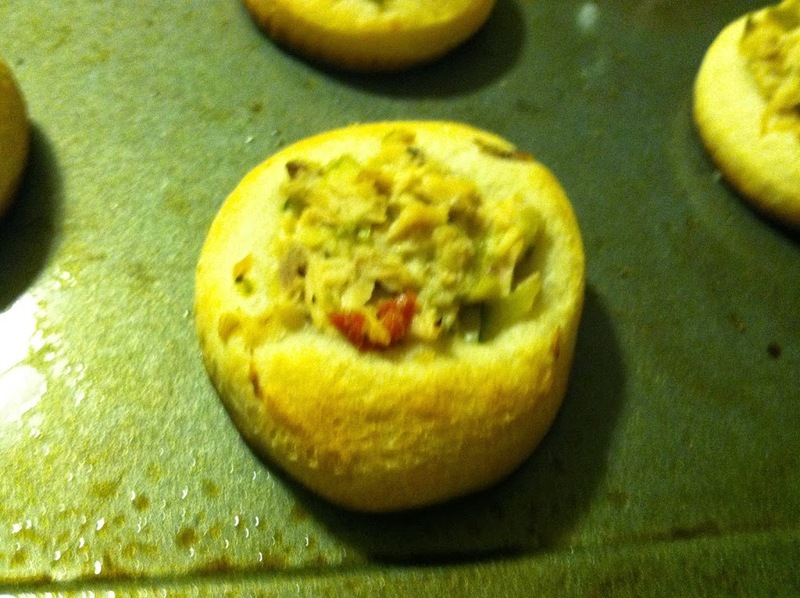 Pair with a veggie or two & a carb for a filling, frugal meal in under 20 minutes. Step 1: In a frying pan, lay the chicken in a single layer. If using breasts, spray the pan or spread around 1 tbsp oil first. 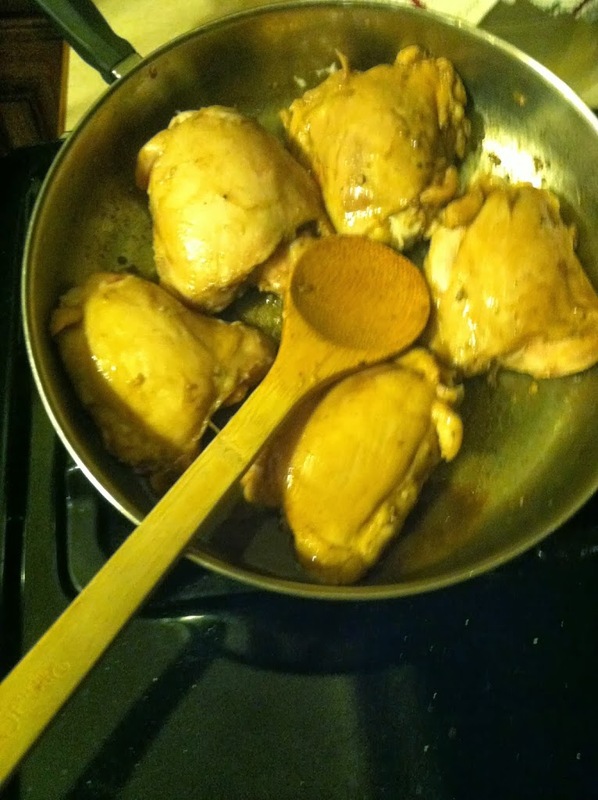 If using drumsticks or thighs, the chicken should release some of its own fat while it cooks so it won’t stick. 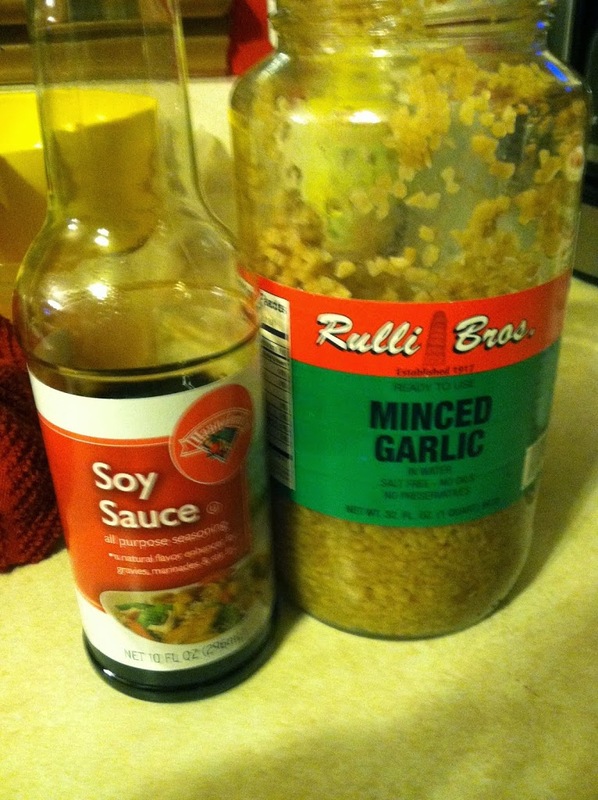 Step 2: In a small bowl, combine the soy sauce, garlic, and lemon juice. Mix well, and pour over the chicken. Step 3: Bring the heat to medium, and cook, covered, for 10-12 minutes. Flip, and cook the other side for 5-7 minutes. Step 4: Poke with a fork or cut a small slice in the thickest part. Once you’re sure there is no pink inside, your chicken is ready! This chicken is especially good when paired with fried rice, but it works well with any grain (white/brown rice, quinoa, barley, couscous) or potato (mashed, baked, boiled). 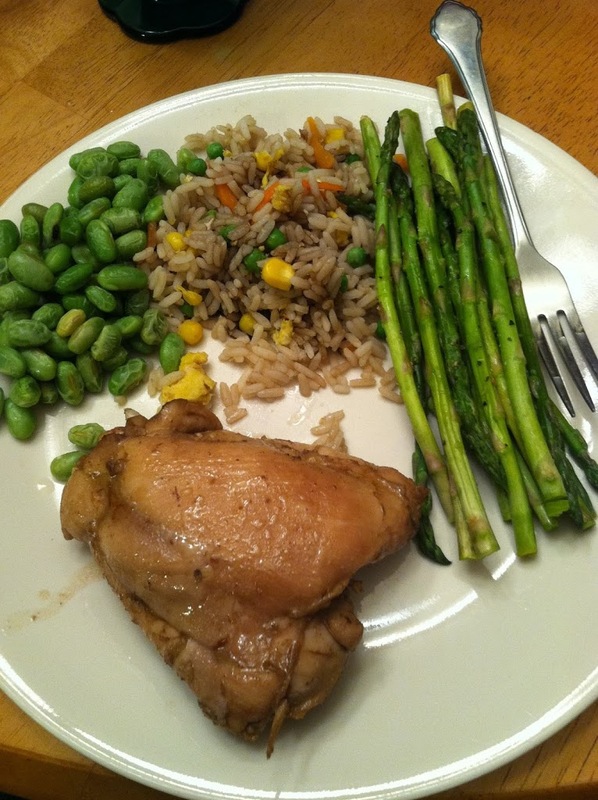 I love fresh asparagus & boil-in-bag edamame was on sale, which rounded out this meal nicely. I am a huge fan of most all Japanese foods, especially sushi. As evidenced from my ill-fated attempts at Salmon Nigiri and Lazy Won-Ton Soup, I am by no means a Japanese chef. But I do try, so I feel like I get some credit for that. 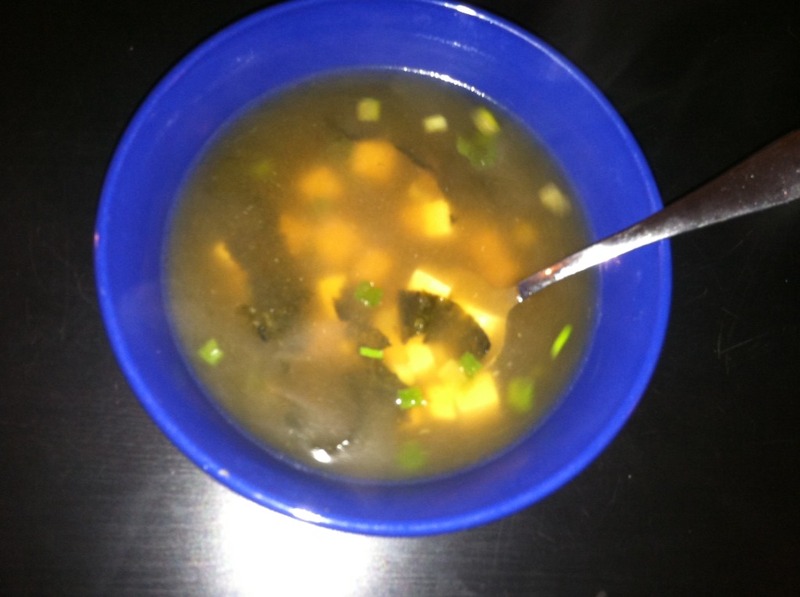 This is my super fast and easy imitation miso soup. Keep in mind I had no miso paste, which kinda makes the soup… so if you do, add that! If not, this is sort of close. 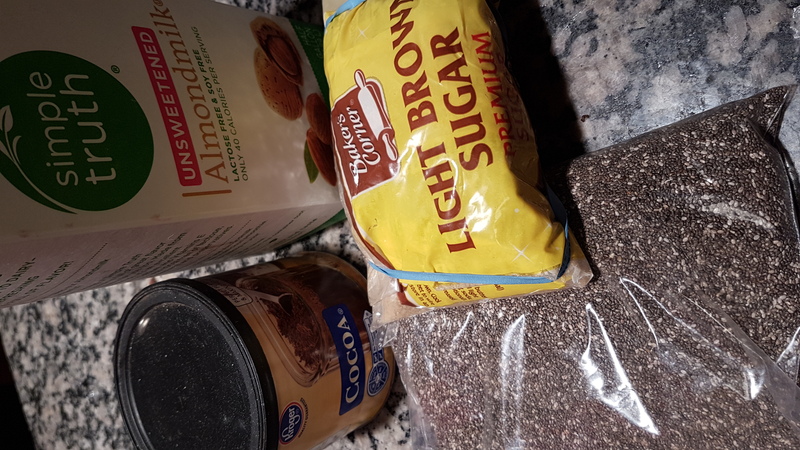 You will need some specialized ingredients, but honestly most common grocery stores like King Soopers are now carrying similar items in their “ethnic” section. 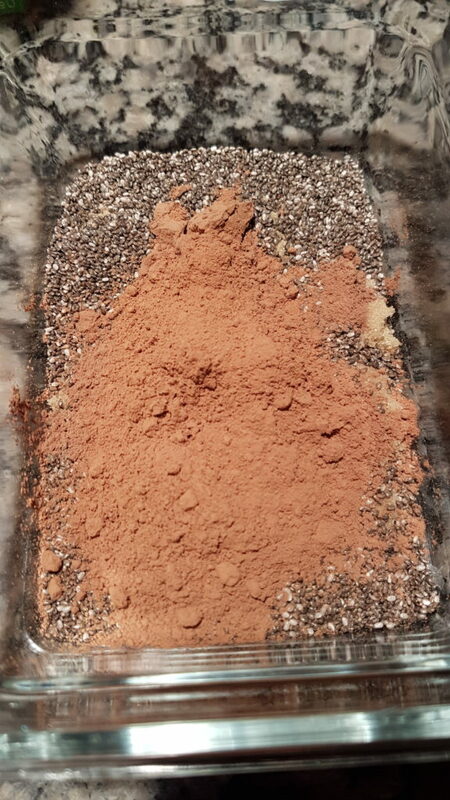 Step 1: Slice the tofu into small squares. 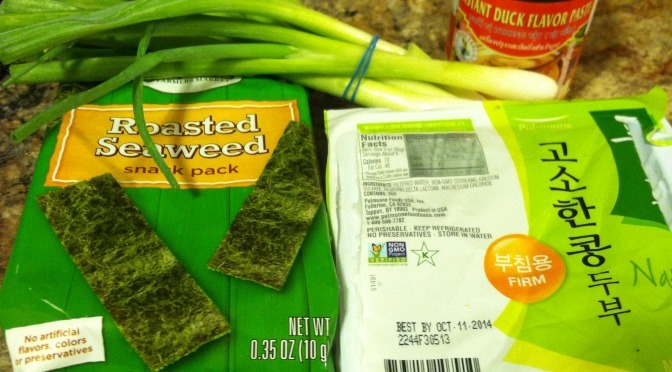 Cut the seaweed into strips. Slice all the green part of the scallions diagonally. 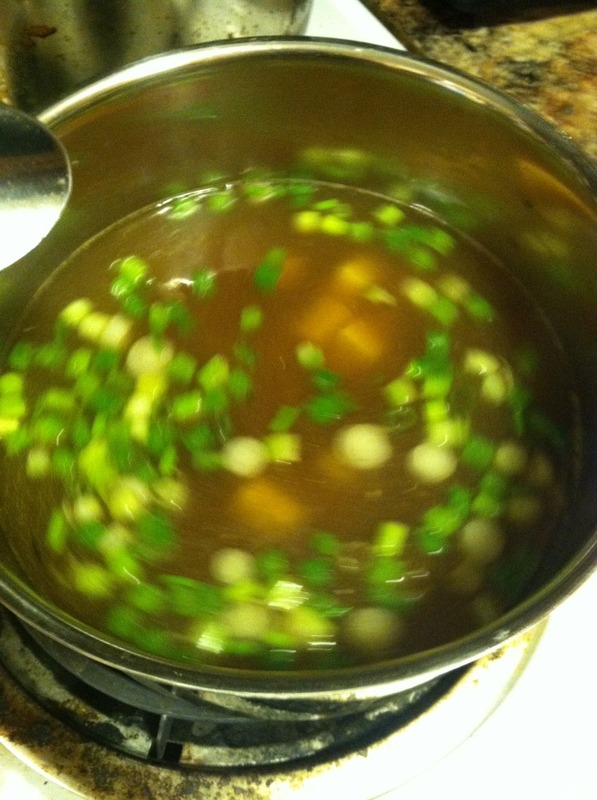 Step 2: Bring the water to a boil and stir in the duck paste or chicken bouillon. 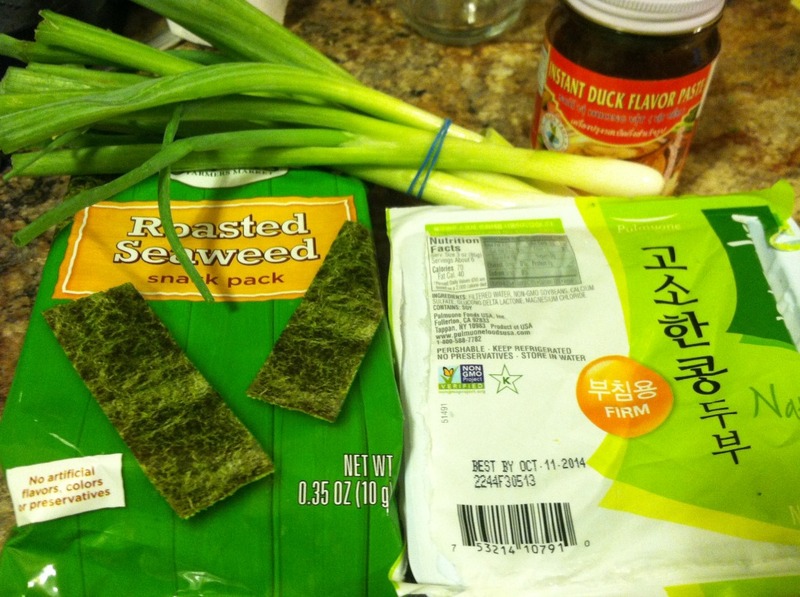 Add the scallions, seaweed, and tofu. And that’s it! This soup is delightfully salty and packs a heavy umami punch. Add some glass or ramen noodles for extra filling power. You can have this soup as an appetizer, part of a light lunch, or as a whole meal. Quite healthy, if you’re ok with a high-ish sodium content… you can omit the bouillon but the taste will suffer. On nights when you just don’t have the energy or time to cook a whole meal from scratch, these “less than 5” meals are the perfect solution. For me to title a meal as “less than 5” it must require less than 5 ingredients, and it’s an extra bonus if it also takes less than 5 minutes to make. 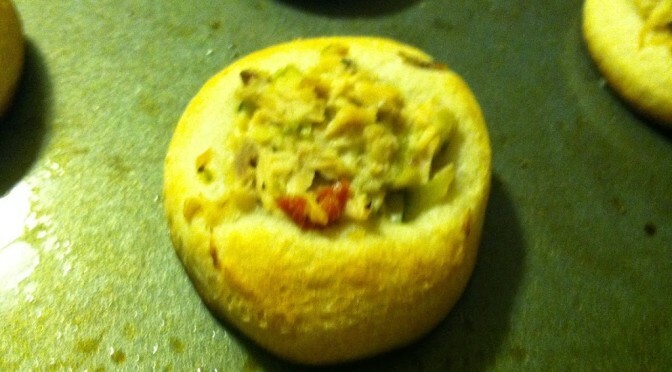 For this recipe, I had several cans of tuna I had purchased during a great sale weeks prior. 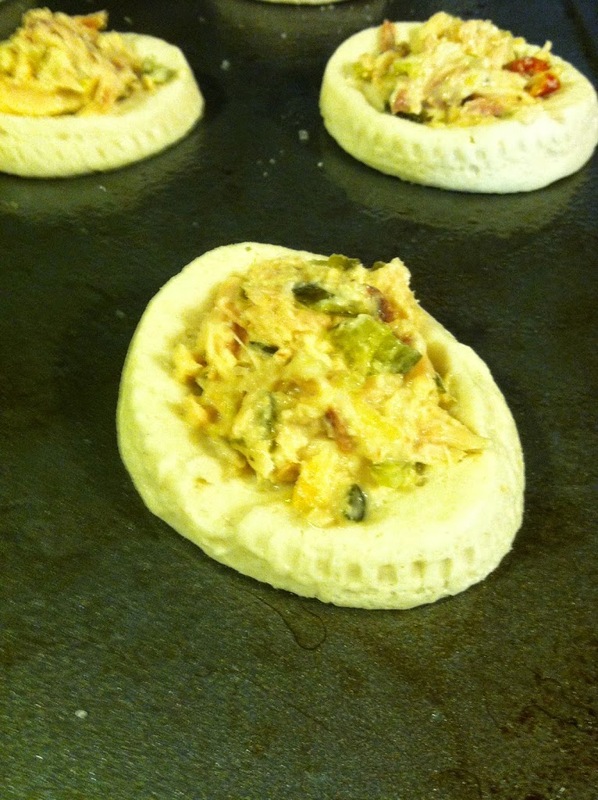 I didn’t want the usual tuna-salad-sandwich, or tuna noodle casserole. So I looked in the fridge, and saw I had a can of biscuits. Viola, dinner inspiration! Step 1: Open and drain the tuna. 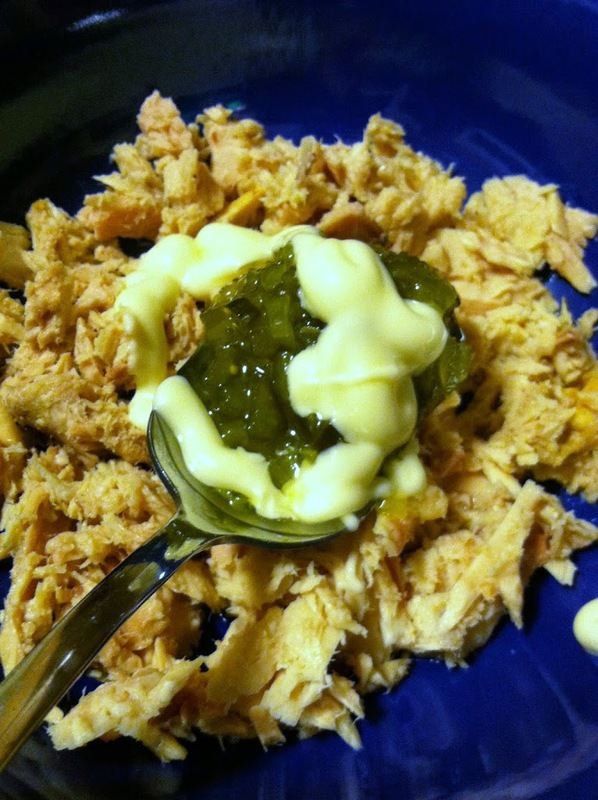 In a bowl, combine the tuna, mayo, and relish. Mix well. Step 2: On a sprayed baking sheet, place each biscuit about 1-2 inches apart. Tamp down a small depression with your fingers or a spoon. 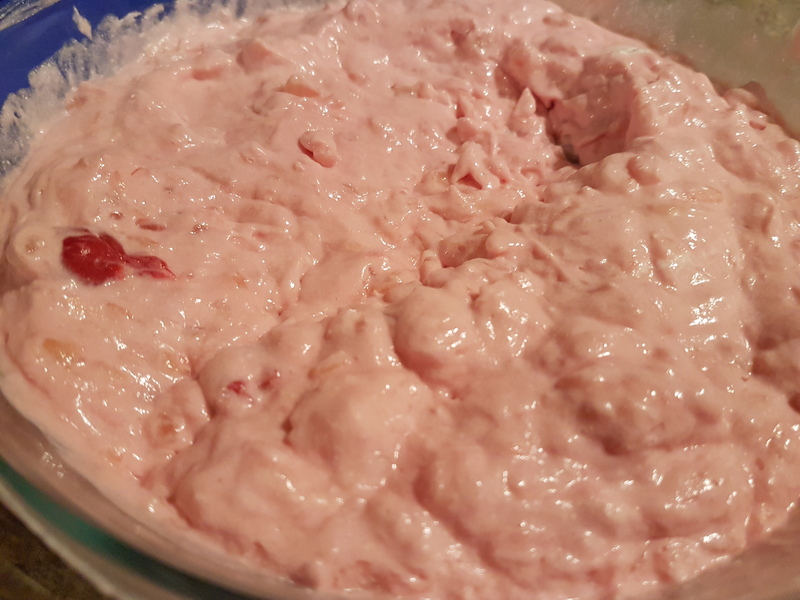 Fill with 1-2 tbsp tuna mixture. Step 3: Bake at 350 for 10-15 minutes, until golden brown on top. 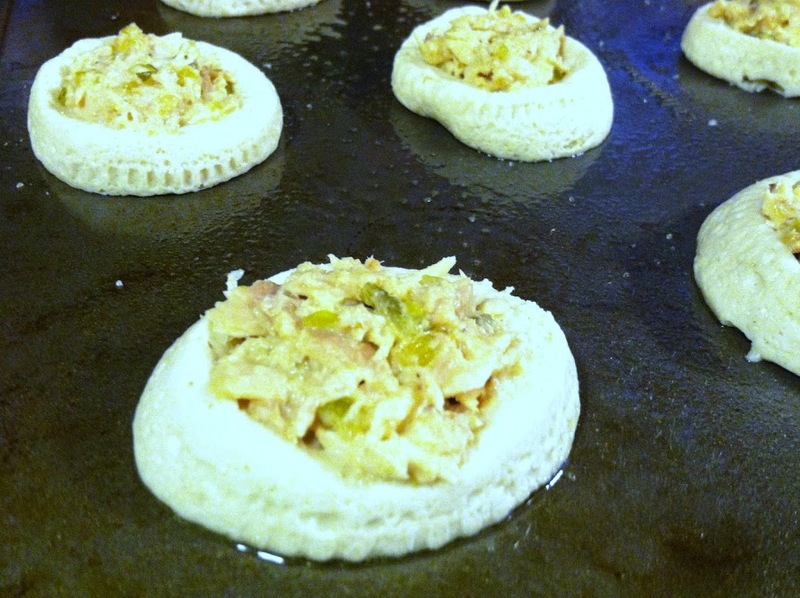 You can sprinkle these with whatever spices you have on hand, or a little bit of shredded cheese too. 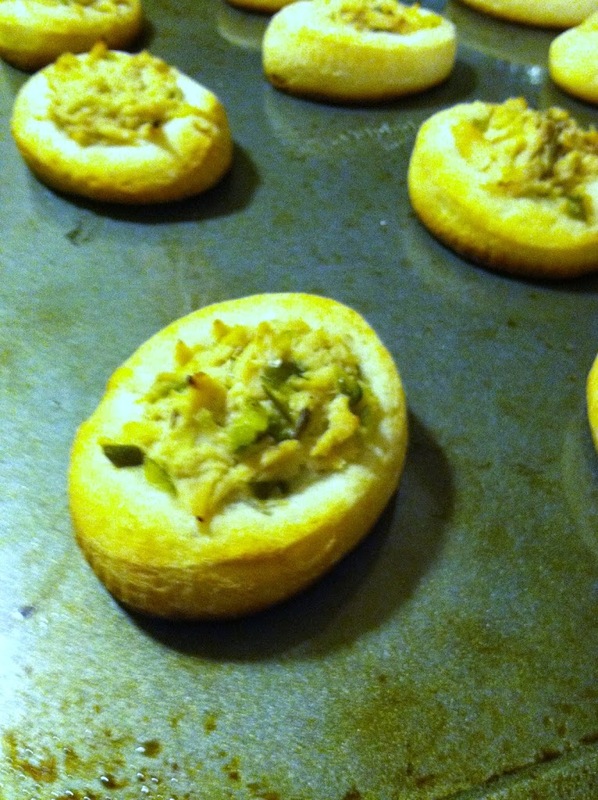 They are great as appetizers, or eat several for a full meal! 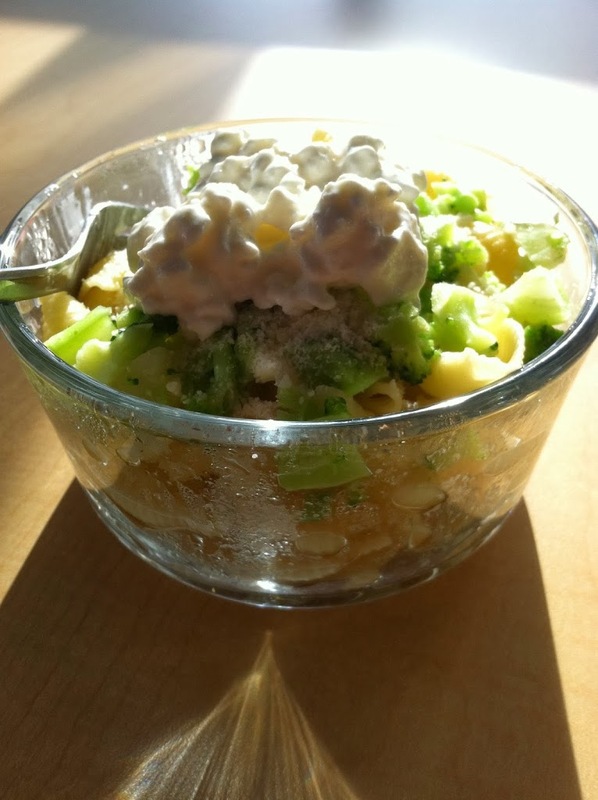 Feel free to add in other veggies to the tuna, like diced up cucumber or cooked egg, or lemon juice. We all know the feeling: it’s time for dinner or you need to pack a lunch, but you don’t know what to make and have little to no time. 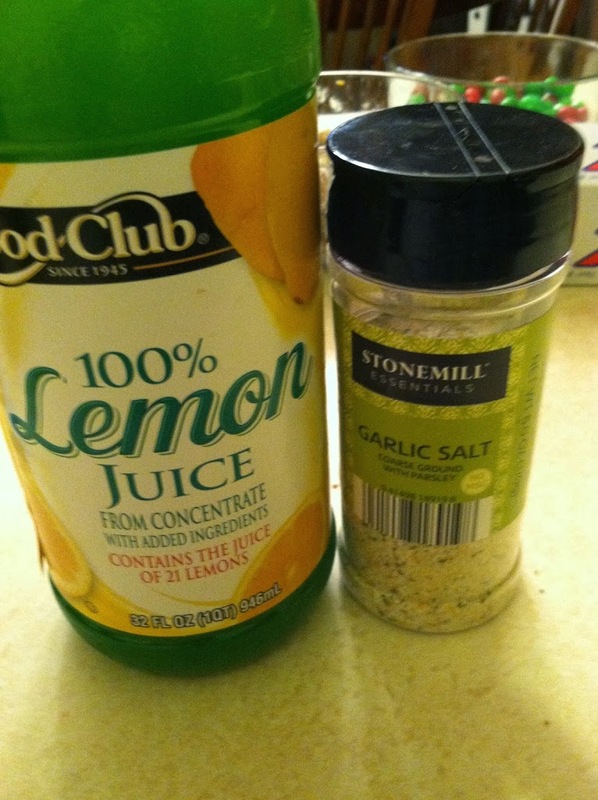 Rather than caving and just buying a pizza or going through the drive-through, try this simple recipe. With less than 5 ingredients (3, in fact) and requiring little time (as long as it takes for pasta to boil) it is a tasty time-saver. The ingredients are also something you are likely to have. Especially if you make pasta, make just a little more than you need for that meal, and keep the rest in the refrigerator. Pasta is very versatile in terms of just adding in a few other ingredients for a different, complete meal later. Step 1: Boil 3/4 cup pasta in 1 1/2 cups water, lightly salted if you want. Add the broccoli after 5 minutes, and let boil another 5 minutes. Drain. 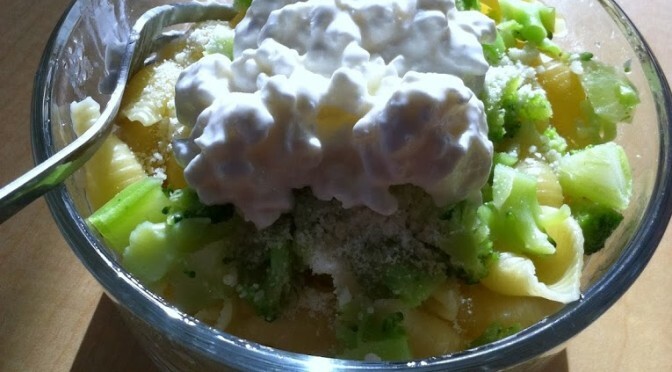 Step 2: Mix the drained pasta and broccoli in with the cottage cheese. And that’s it! This shows you how very simple eating vegetarian can be. It is extremely frugal as well. Frozen broccoli often is on sale for $1 per bag or less, and you only need 1 cup. 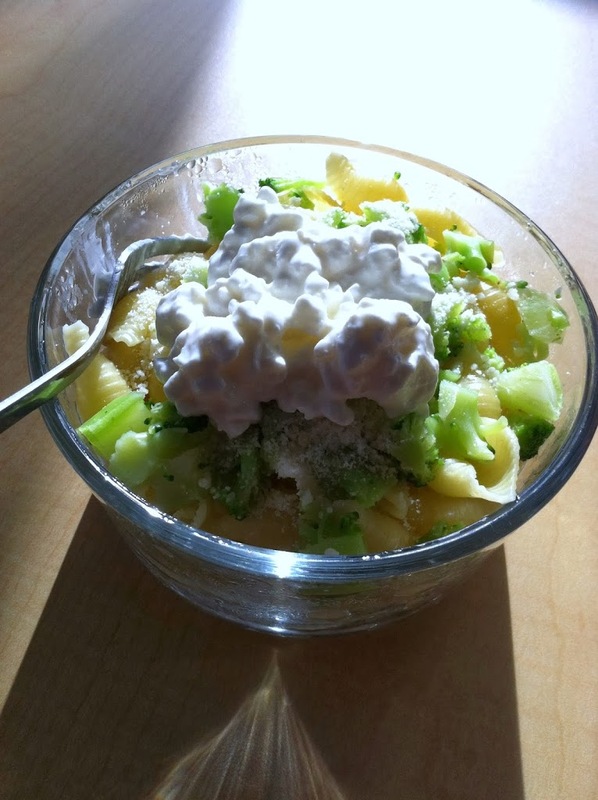 Pasta is a cheap staple, and the cottage cheese is an affordable protein. This meal is all-around healthy, frugal, and tasty. You can of course add to it, such as cooked shredded chicken, ham cubes, shredded cheddar cheese, or drained and rinsed canned beans. 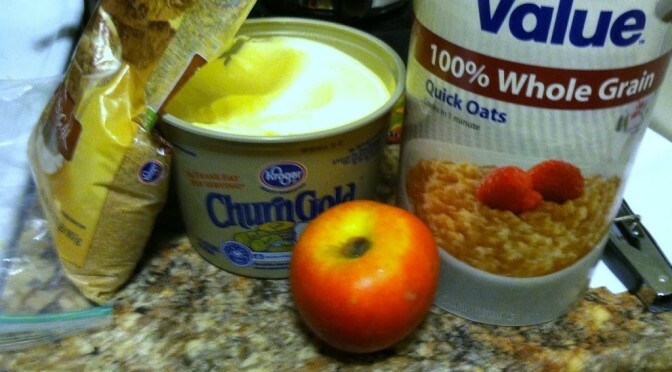 Make it your own and save a few bucks a day by not going out for lunches or save hassle with this quick dinner. Everyone needs a little sweetness in their lives, but not everyone has the time or inclination to spend hours baking. Microwaves to the rescue! There is an endless amount of baked goods you can make in the microwave. Rather than collect recipes from all around the web, I found Number 2 pencil’s post that does exactly that, a collection of over 30 mug recipes! 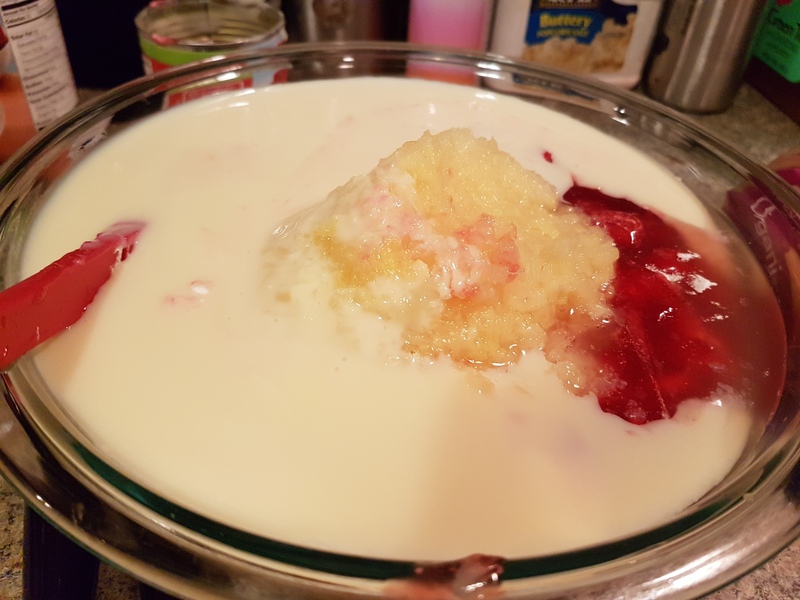 This recipe I came up with one night when I wanted something sweet but was too tired to cook an entire pie or whatnot. 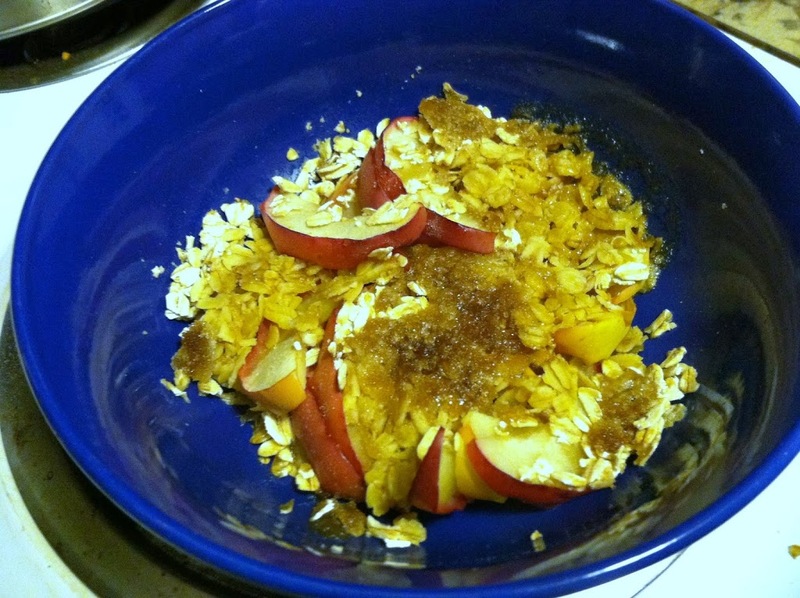 I had apples, so naturally wanted apple crisp. Apple crisp has always been a favorite of mine, it is perfectly balanced and sweet, and satisfies my sweet tooth every time. 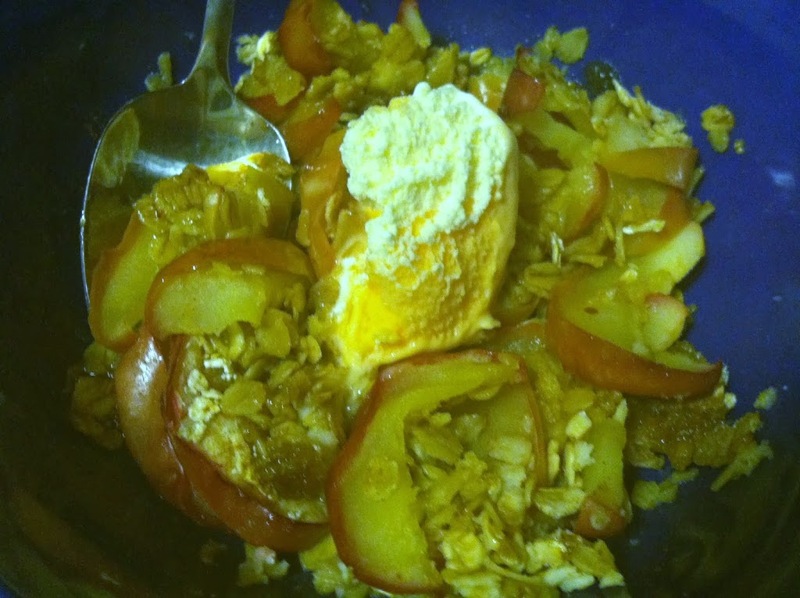 So with less than 5 ingredients and less than 5 minutes, you can have a bowl of your very own hot and fresh microwave apple crisp! 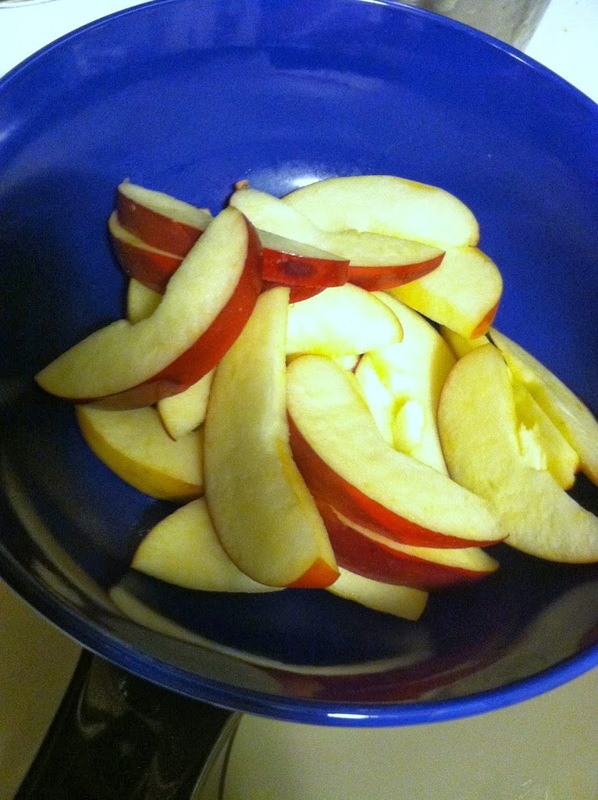 Step 1: Cut the apple into thin slices and place in a bowl. 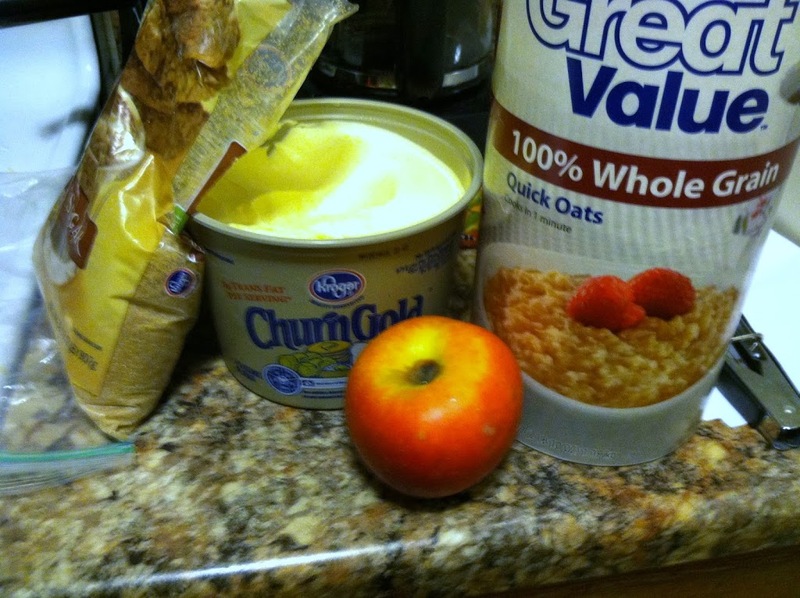 Step 2: Mix the sugar, oats, and cinnamon if using. Pour over the apple slices. 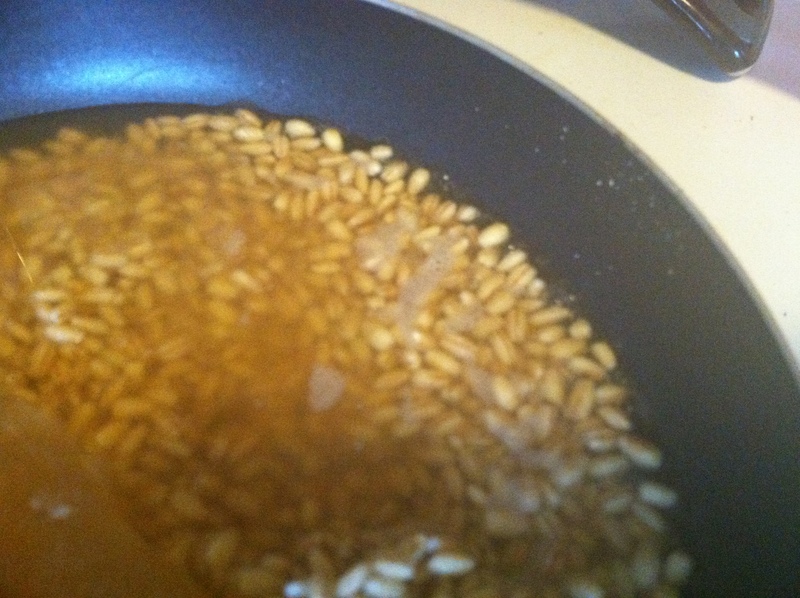 Step 3: Dot the butter over the oats, and microwave for 2-3 minutes on high. Time will depend on the strength of your microwave. Let cool just enough to hold, maybe add a scoop or two of ice cream, and enjoy!